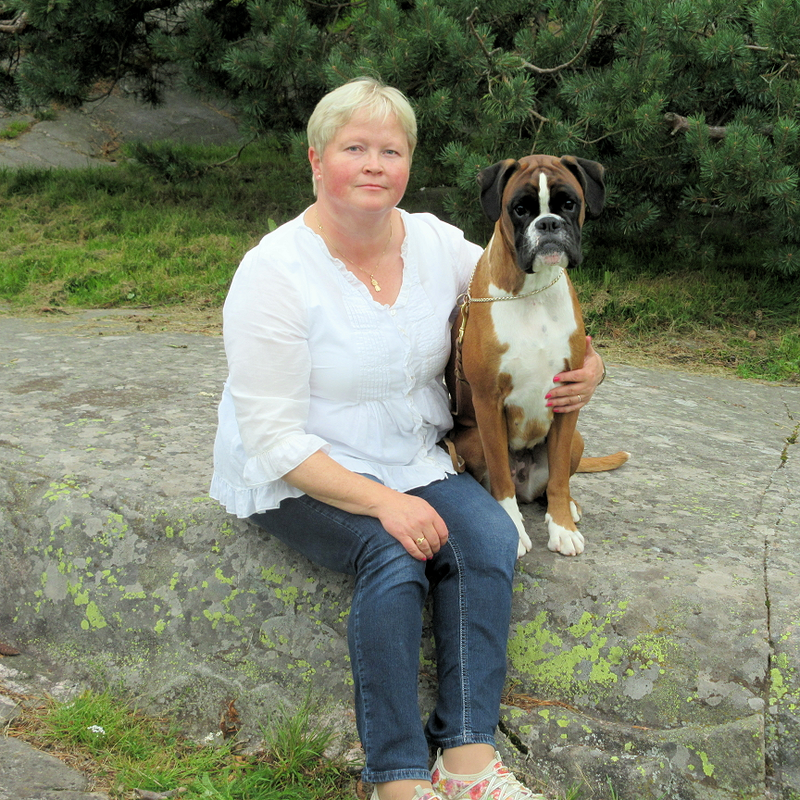 Tuula Seppälä had her first Boxer in 1980 when she was 12 years old, and ever since it has been her favourite breed. She was very lucky with her first Boxer; she became a Champion and gave birth to her first litter in 1984. Tuula’s prefix is Chamentine`s and she has bred 11 litters of Boxers and one litter of Boston Terriers with very nice results. Over the years she has owned and shown Cairn Terriers, Fox Terriers (smooth) and Pugs, also having imported Boxers from the Netherlands, Belgium, England and Belarus. At the moment she has one Boxer and two old Boston Terriers at home. She has been an active member in Finnish Boxer Club for many years and was representing the Boxer Club at the Finnish Kennel Club Breed Council for 12 years. Nowadays she is a member of the committee that teaches new judges. In 1999 Tuula was approved to judge Boxers , and is now licensed to judge several breeds from the FCI group 2 & 9. Her first judging appointment abroad was in Sweden in 2000, and so far having had the pleasure of judging Boxers in Australia, England, Estonia, Ireland, Norway, Sweden, Russia and New-Zealand. Travelling and seeing Boxers in other countries she founds very interesting and instructive.